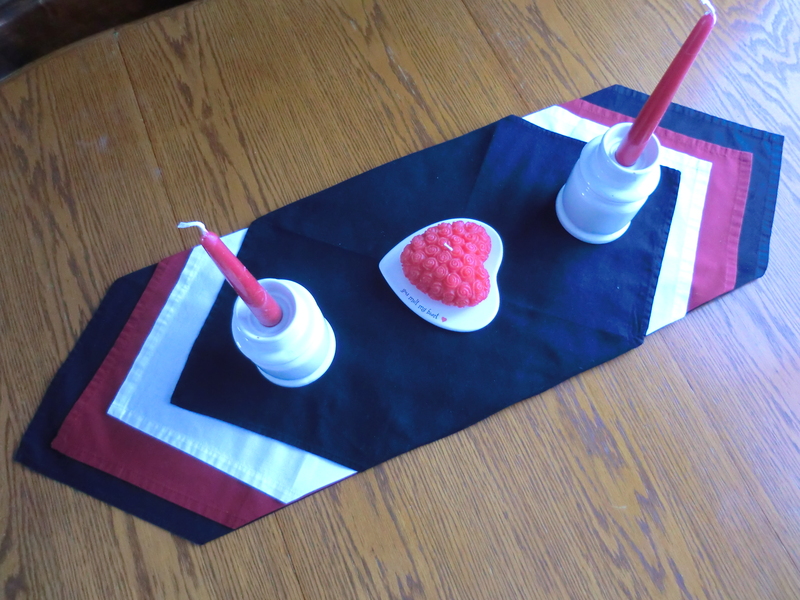 The red table runner was too long for my table…but I had black, red, and white napkins. I made a table runner out of them. Fold two corners of each napkin to meet in the center. Stack the napkins black, red, and white. Put the two stacks together end to end. Put another black napkin over the top of the two stacks. Adjust the stacks so the tips are all spaced the same amount apart. Wrap the center, black napkin around the stacks and tuck in under. The center napkin holds the stacks together. My Valentine’s Day table runner.